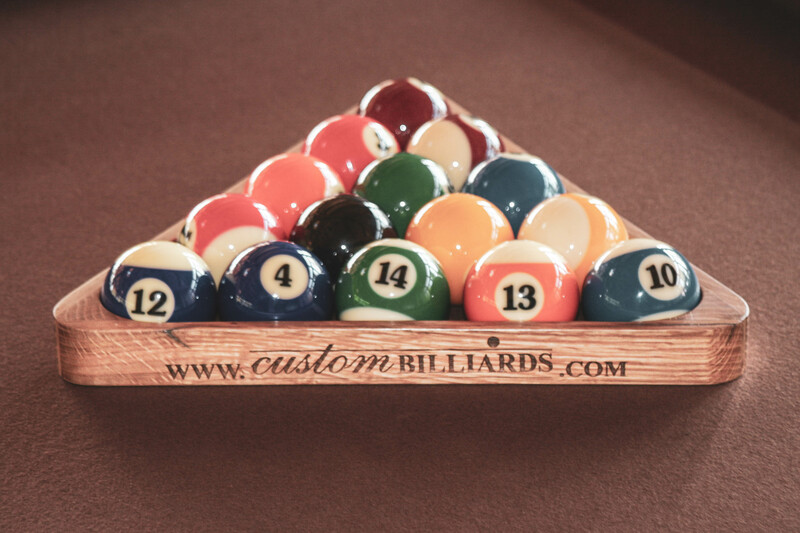 At Custom Billiards, we've been making billiards equipment and custom home furnishings for over thirty years. Our timeless quality and commitment has kept us at the cutting edge of luxury design. 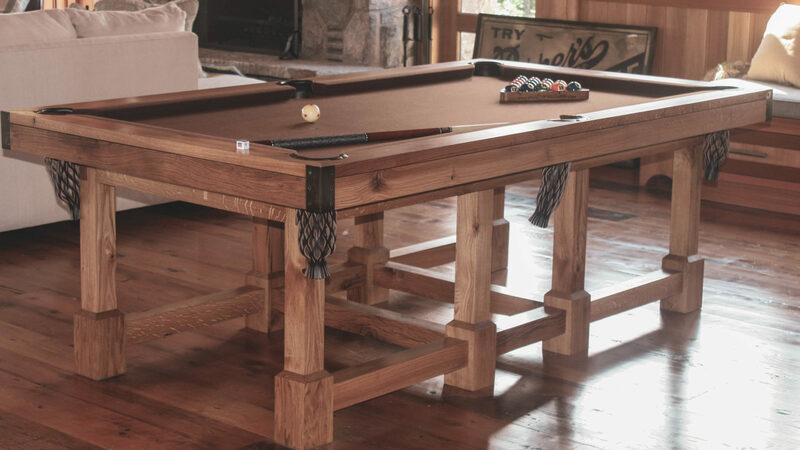 Our beautiful craftsmanship brings dream luxury pool tables to life every single time. Your satisfaction is always guaranteed behind every piece we touch. Our reputation was built on the engineering expertise we developed with cue sports. Over the years, we've done construction and renovation alike on hundreds of billiards, snooker, and pool tables. Since 1982, we’ve been operational as a full service shop handling any and everything to do with cue sports. Whether you’ve got an antique table in need of restoration or an heirloom in need of transportation and reconstruction, we’re interested. For those unable to find or restore their perfect table or parts, we have custom designs that can help. Our beautiful craftsmanship brings dream luxury tables to life every single time. Your satisfaction is always guaranteed behind every table we touch. We've learned and heeded that top notch unbeatable customer service is what gives us distinction above all else. Whether you desire a custom designed pool or snooker table, or require a refurbishment of a timeless classic, our craftsmanship is second to none. Snooker tables have been a part of our business and family history for decades and we’re hoping a table of ours can be in your history too. Custom-designed card tables are great ways to host company, especially if cue sports aren’t the only flavour of game that your loved ones enjoy. Every beautiful cue sports table deserves matching accessories. If custom racks or cabinets are your style, we can design a great solution. 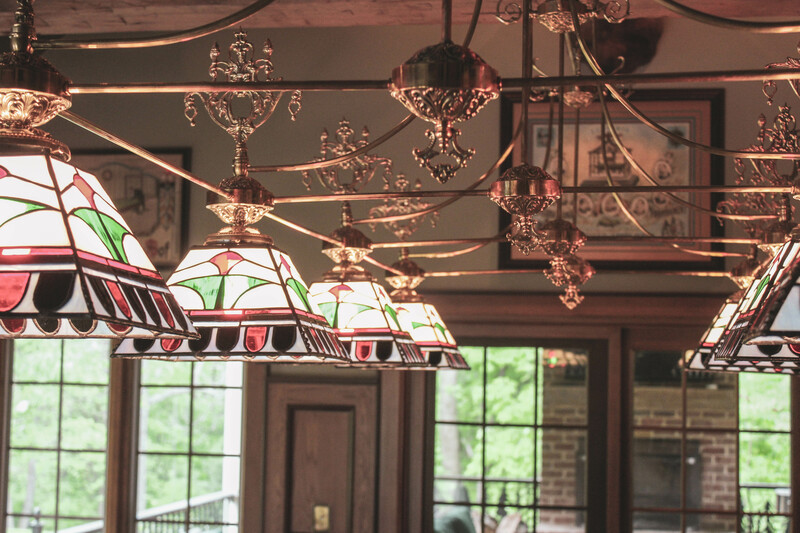 When it comes to a room or table’s playstyle, our services will help ensure you’re not left in the dark with great fixtures and lighting. Every table eventually needs proper maintenance, part replacement, and servicing. Ensure your precious equipment gets only the finest care. It wasn't long until our clients realized our commitment to excellence in custom tables could go further. The intricate nature of a table lends itself well to other craftsmanship. Since, we've developed a full portfolio of home furnishings: kitchen cabinets, living room sets, and so on. If we've yet to build it, don't be discouraged from reaching out either. Today, classic and timeless distinguished taste is central in all our furniture. We can accommodate any materials, dreams, and dimensions you can imagine. Though our specialty remains custom designs and replications, we offer various built-to-order themes. No matter what your gorgeous handcrafted furniture of the future looks like, we want to play a part in helping you make it.